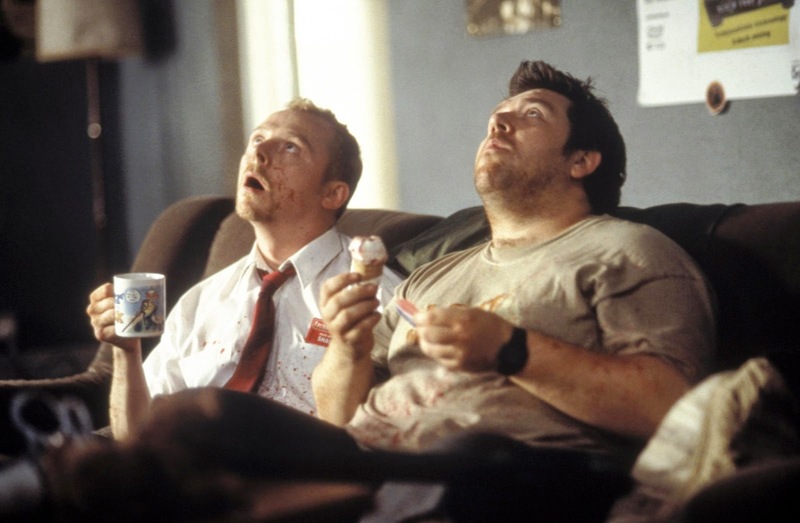 For this 'Ten Years On' post we take a look back at "Shaun Of The Dead". WOW! Now this makes me feel old, has it really been ten years since this was released?! Unfortunately yes it has and I am getting old but enough about that, we're here to talk about this amazing film that no-one saw making the impact it did. 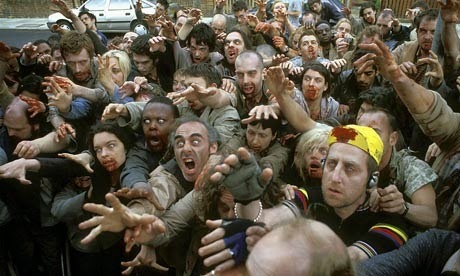 One funny thing I remember is having to explain to my friends how it was not just a comedy film but a parody but not of the "Dawn Of The Dead" remake that was released the same year, it was so tiring but worth it as it got them to watch Romero's classics. 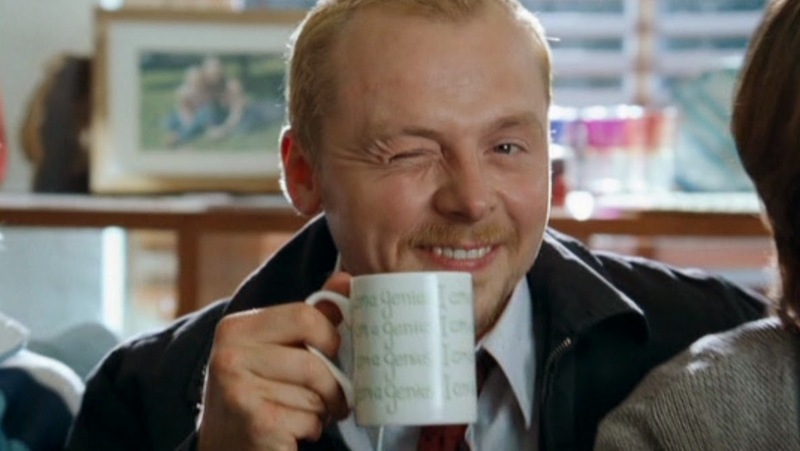 This film did more for Simon Pegg, Nick Frost and Edgar Wrights careers than all those years on British TV, it shows what true impact a single film role can have on your profession. Heck, even Edgar Wright is in the process of Directing Marvels "Ant-Man". For us Horror fans the film was filled with great little nods to past zombie flicks such as, 'Fulci's Italian Restaurant', the "Zombies From Hell"/"Dawn Of The Dead" segment, the Winchester/"Night Of The Living Dead", 'Foree Electric', 'Landis Supermarket', the "We're coming to get you, Barbara" segment and more. It's bit like this that gave the film it's charm and pleased fans. Ten years on and this film is still loved and regularly quoted, I still love to watch it every now and then and it never gets boring. In-fact I think I'm going to stick it on now, Yeah, boyyyeee!